A power outage can happen any time—snowstorms, severe thunderstorms or even a transformer blow. Whenever it happens, losing power can be more than just an inconvenience, it can be a hazard. The best way to combat the effects of losing power is to be prepared with your own generator. Home standby generators will automatically supply power to your home, 24/7, whether you’re home or away. The generator automatically turns on within seconds of a power shortage and will shut itself off one power returns. These are permanently installed and run on either natural and liquid propane gas. A typical home will contain essential items that will average 5,000-7,000 watts of power to run. Portable generators are exactly that—portable. You can use the generator for limited home standby power or on the road (job sites, camping, etc.). 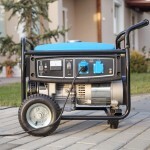 Most portable generators run on unleaded gas. If you’re hoping to use for an extended amount of time, look for a model with extended run time, as well as a fuel or hour gauge. Inverter generators are great for small jobs—camping, tailgating, etc. They are known for having clean power, low noise levels, better fuel efficiency, and lightweight/compact designs. Using a generator can be a little worrisome, so it’s important to make sure you play it safe. Know your generator’s rated wattage and don’t power too many appliances with that one generator. Run all generators outdoors and away from the house, doors, windows, and anywhere else air can enter the home. Carbon monoxide poisoning kills 86 people each year, and using a generator indoors is one of the leading causes. Do not operate your generator in wet conditions—protect it from rain and/or snow. Allow the generator to cool before refueling, and use fresh gasoline. If you’re looking to use a home standby generator, do not plug it directly in your home outlet. Instead, have a qualified electrician install a power transfer switch. 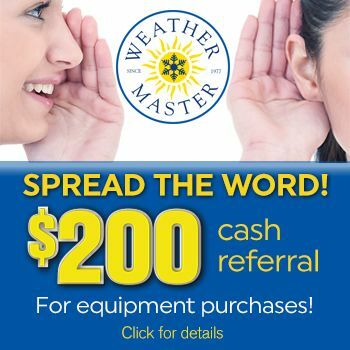 If you have any other questions about owning or operating a generator, contact the professional electricians at Weather Master.